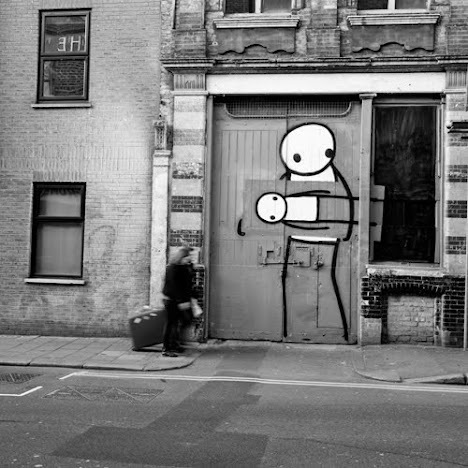 London street artist Stik will branch out into iron and oak pieces during a new month long solo show entitled ‘Walk’, at the Imitate Modern Gallery from 19th April 2012. This latest exhibition will feature large-scale canvases, light-boxes, and sculpture, all of which capture Stik’s trademark grittiness, and refined attention to detail. The gallery will also host the long awaited launch of Stik’s new print also entitled ‘Walk’, produced by Squarity.